As a third-party logistics service provider, you handle multiple clients and their needs. 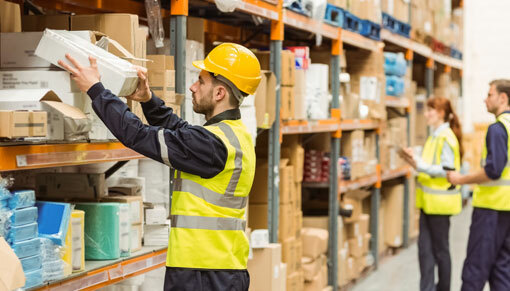 Our system helps you manage the inventory of all your clients using a single dashboard and is capable of handling client operations across multiple warehouses. Advanced features such as real-time inventory visibility as well as dispatch and delivery updates help you exceed your clients’ expectations. The eCommerce business model necessitates handling the complexities of B2C orders and returns i.e large number of small qty orders across product categories which need to be picked/packed separately and their corresponding returns. We provide the functionality to handle this seamlessly, allowing you to keep pace with dynamic and evolving business needs. Our system has ready integrations with most of Webshops (Shopify, Magento, Martjack, WooCommerce etc.) and marketplaces (Amazon, eBay, Flipkart, Paytm, Snapdeal etc.) to enable seamless operations for clients of 3PL.